While some people have moved well into the digital age when it comes to their calendars, I am one of those people who will forever prefer a paper planner. It all started back in sixth grade, when I was handed my first ever planner by my homeroom teacher. In an effort to get kids to be more responsible with their assignments, my school (district?) made them mandatory for all students. It was love at first sight. Alas, now there are about a million different planners you can choose from, which makes things a little bit trickier. 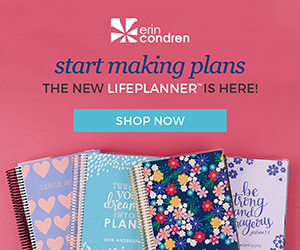 It took me years to find my perfect planner, and I hope these reviews will help you find yours. I usually get the itch to buy my next planner some time around October. After some pretty major medical expenses over the course of last year, I decided to try and find a more economical alternative to my usual Erin Condren Life Planner. After doing some digging, I decided to try out myAgenda. I had actually given this planner a shot a few years back and remembered liking it. And since it comes in at less than half the cost of that ECLP, it was worth another look. While the dimensions of the pages are the same, myAgenda feels smaller somehow. That’s likely because of the smaller cover, but it changes the entire feel of it. The first several pages of the planner are filled with information. There’s everything from a note from the president of momAgenda, Nina Restieri, to a list of online resources and phone numbers. Truthfully, in this age of the smartphone, a lot of it feels obsolete. After 20+ pages of that, we finally get to the monthly layouts. I like the at-a-glance calendar along the margin, but I would prefer for these layouts to be unlined. And then come the weekly spreads. The weeks start on Monday and they have equally sized pages for Saturday and Sunday – two wins in my book. But the vertical layout is a little different than I’m used to. Originally intended for moms to have delineated spaces for each family members activities, I had to get creative. With some very cute sticker from Etsy, I used those smaller sections to track my reading, TV shows, Instagram posts, and meal plan. While I can honestly say that I love how I set up the blank layouts, the spaces provided and the fact that everything is lined made it challenging. I’ve been making an effort to be more creative with my hand lettering and sticker use. But there just isn’t room for it here. Another good thing, though? The planner ends with a bunch of lined pages for note-taking – one of my only qualms with the ECLP. If you’re a more no-frills planner, this could be a great option for you. But I just missed my fancy pens and washi tape too much to stick with it.